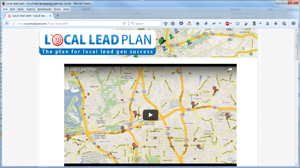 Two thumbs up for Local Lead Plan by Chad Frederiksen! This ebook is truly jam-paced with quality details that I can honestly say, as a website designer, I have NEVER seen so much quality information packed into one such product. Though Chad’s ebook is now over 5 years old, the well illustrated, easy to follow instructions appear to be every bit as relevant as the day his ebook was first published. His ebook is protected so that I could NOT highlight information that I wanted to be able to find easily when referring back to his instructions. I solved that issue easily enough by going to: Unlock PDF and remove protection, uploading my copy of his ebook then saving and using the converted version. The second issue is more of an editorial training irritant. Chad’s ebook should have been proofread and corrected (there were far too MANY boo-boos) so that he could charge a LOT than the $19 US funds (I paid $26.40!) he is now asking. Magic Youtube Xtractor by James Upjohn and Alex Krulik was a VERY BIG $97 US funds (I paid $134.77 CAD) disappointment to say the least! Their product page allows you to download their executable file. When clicked on, this will install their software. Then you’ll receive an email informing you that you will be asked to “Register” your software. You will be instructed to use the same email address you used to purchase their software. Initially, while waiting for a reply from them, I clicked on their software icon on my desktop again and the software actually opened. Surprised at this … I decided to click on the “Help” option which caused my browser to open to a web page where I learned that I have to join their Facebook group in order to obtain the “Bonuses” they raved about… and in order to join, I had to ask to join and then wait to be accepted. Oh … and their first video on this help web page informed their software purchasers that you HAVE to have a Google Adwords account … and then, oh yeah … be prepared to purchase proxies. Wow! 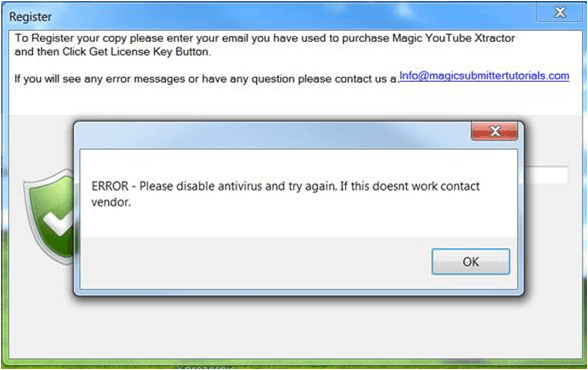 This software is NOT for newbies by any sense of the imagination … and I would NEVER recommend ANYONE disable your computer antivirus in order to install this software. My Camera Biz: This product is one big disappointment, to say the least. On page 5 of her ebook (under Acknowledgements) author Raven Jackson claims “This eBook took several years to create – day by day, word by word and experience by experience. It’s amazing to think that this eBook captures the best of the collaborative efforts of so many people and so many experiences.” This leads a reader to believe you’re in for a great book of knowledge on how to make money with your camera. In my opinion she fails to deliver … miserably! For $37 US funds (I paid $51.41 CAD), all I got from Raven’s ebook is a list of online stock photo websites. Big deal, a simple Google search would accomplish the very same list … and for FREE! If there was ANY collaborative content, I never found it … and … on page 59 Raven clearly states that “I will be going in-depth on each of the stock photo websites including screenshots to answer any questions before you can even think of them.” Then fails to deliver after detailing only the very first one she mentions. 32 pages with image examples with labels of either where she found them or maybe where to upload them under, I am not sure as only a few were explained. 15 pages with simple screen print images accompanied by a text link to the website in the screen print. My personal take on this ebook is that the author was more concerned about receiving referral fees from the stock photo websites from her links within this ebook, and to heck with her ebook customers getting what they paid for. I requested and received a FULL refund! How To Become a Successful Magician by Scott Harker is a GEM of a purchase, to say the least. For $6.97 US funds (I paid $9.66 CAD) you get about $30 worth of GOOD information … then there’s his 3 bonuses. 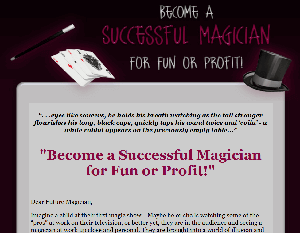 In my opinion, if you’re serious about wanting to become a magician, this is the information you’ll need … along with the rental of a magician’s costume from your local costume store … to get you going. The perfect, least expensive home based business I’ve come across yet! How To Buy An Established Turnkey Business For Immediate Success by Frank DeJohn is 174 pages in length, offers tips (he states that he is not offering you advice right at the start of his book) on 51 pages … and, it appears to have been written sometime in the 1990’s. I say this because his example letters that begin being offered on page 58 are dated as: “19__” …though you are to fill in the last to digits of the year. This is definitely NOT a BOOK for CANADIANS wanting to purchase an existing business as the tips shared are based buying an existing business in the USA. For $14.95 US funds (I paid $20.69 CAD) you can believe the advice offered is pretty much general tips. However, Frank has offered his purchasers 6 BONUSES that are linked from within his ebook … and that MAY be where you’ll find your value. Needless to say, I asked for a full refund and received it without a dispute. 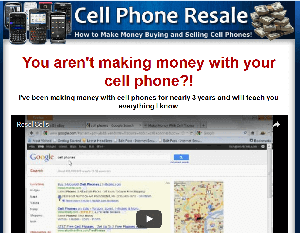 Cell Phone Resell by Ross and his partner Kevin is one of the BEST written ebooks I have read in a very long time. No typos or grammar errors truly impressed me … and Ross and Kevin are students. Many “adults” creating ebooks (note reviews above AND below this one!) and courses could definitely learn from these two, on that aspect alone! For $37 US funds (I paid $51.21 CAD), their course is not only inexpensive but it is very easy to follow and fun to learn from. And, they offer you a way of staying in touch with them by providing a means where YOU can stay up-to-date with the going price(s) for cell phones. The details are in their ebook. It’s important to read their ebook FIRST and then watch the 10 videos that will take you by the hand (well, kind of) and walk you through EACH step. As Ross states, there really is NO REASON for you not to make a profit following their system. This ebook is protected so that I could NOT highlight information that I wanted to be able to find easily when referring back to his instructions. I solved that issue easily enough by going to: Unlock PDF and remove protection, uploading my copy of his ebook then saving and using the converted version. Paid For Pictures course by Cameron Allen … though riddled with grammar errors that constantly irritated my editorial eyes … made quite a GOOD impression on me with the amount of QUALITY information he has packed into this course. For $27 US funds (I paid $37.37 CAD) I truly feel I got MORE than my money’s worth of guidance. In this course, there are more DETAILED options offered than simply snapping photographs and submitting them. Readers are even offered a couple of SAFE options for uploading ALL your photographs. 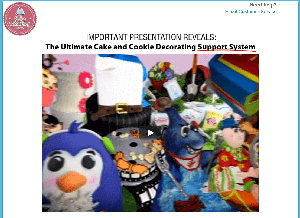 Cameron’s course contains 4 ebooks in total (though, yes some are BONUSES) PLUS a video tutorial. All excuses have been removed from your not making money online with your camera when following his directions … of that I am certain. Start Your Own Daycare System by Rachel Thomas offers great advice that both Canadians and Americans who wish to start their own daycare center would benefit from learning from. Advice that ONLY someone well experienced at operating a daycare themselves could possibly know. Why I say this … well, here’s on example: “Whatever your price, do not feel you must explain or defend yourself.” Shared very wise warnings like this are all throughout Rachel’s ebook. Wise suggestions like telling you where to check for laws and rules about operating a daycare in the area you live it, applies to both Americans and Canadians. From the safety of the children you would be caring for … to the importance of YOUR family member’s emotions are all discussed so that you will be well armed with the sort of information you’ll need to know when considering opening your very own daycare center. Rachel’s product sells for $27 US funds (I paid $37.23 CAD). 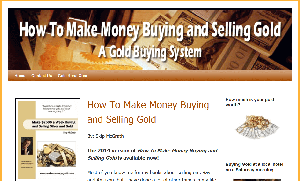 How To Make Money Buying and Selling Gold by Skip McGrath is a perfect purchase as far as I can tell, for those who wish to start into their own business of buying and selling gold. Not only does Skip share quite a bit of “inside information” with his readers, surprisingly he has included all the text you’ll need to include when creating business flyers using Microsoft Word templates. Though Skip offers ONLY American information (on laws and licensing), I don’t think it would be overly difficult to gain much insight for any Canadian wishing to start up their very own home business of buying and selling gold. I’m sure there are Canadian laws in place similar to the US laws that Skip went over in depth. This fact could be EASILY verified by a few well placed telephone calls by any Canadian serious about starting this type of business. For $37 US funds (I paid $51.02 CAD) I feel that you are certainly getting your moneys worth! 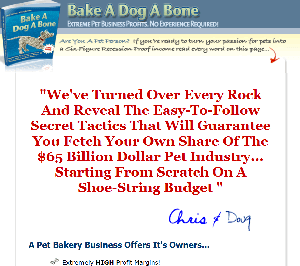 The Bake-A-Dog-A-Bone Start-Up Resource Guide by Chris Trombley and Doug Bertram certainly is a treasure-trove of information regarding starting up a pet food or pet treat business. Their advice (though typos galore!) are well thought out, and not to be taken lightly. Even their Excel spreadsheet (8 different tabs) is a welcomed and impressive addition for those serious about starting up a business. This ebook too is protected so that I could NOT highlight information that I wanted to be able to find easily when referring back to their instructions. As I have stated in other reviews, I solved that issue by going to: Unlock PDF and remove protection, uploading my copy of their ebook then I simply saved and used the converted version. Having paid $29.95 US funds (I paid $41.61 CAD), I truly believe you will get your money’s worth … if for nothing else than the over 100 dog treat recipes that “drive dogs wild” that are included. Vending Business Training System by Chris Robertson offers serious advice on starting up your very own vending machine business. 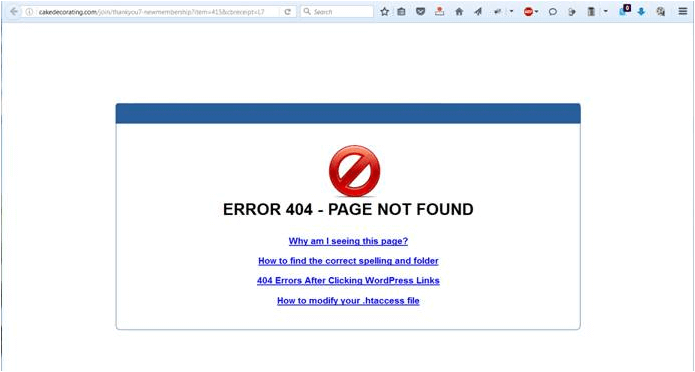 Though his website is no longer being listed on Google page one for the keywords he boasts of in his main ebook, his website IS still in existence. For $47 US funds (I paid $64.81 CAD) you will receive several valuable BONUSES that make this offer even more attractive to those serious about starting this type of business. I even went so far as to send Chris an email to see if he would respond … and he did. In the downloads you will find out how to get a one-on-one coaching session with Chris that he claims he will record and send to you after the call is finished. His additional offer to create a short quality video for you (to help you rank your website higher in Google) is definitely a PLUS! The ONLY thing I was NOT impressed with is his link to SiteSell that seriously looks like an affiliate link. For me that is an annoyance … though, you may find it a treasure. 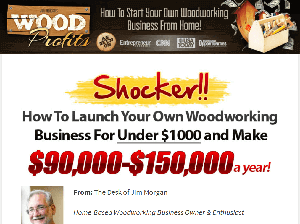 Woodworking Business by Jim Morgan offers a 182-page ebook along with an audio version … which is what I preferred. I could listen to his book while busy doing other things that didn’t need me to “think” while I worked (like doing dishes). Great advice is offered to anyone wanting to start your very own woodworking business. For the wood craftsman in you, you’ll enjoy the 500 plans for the awesome small projects that would be PERFECT in helping you choose your niche in woodworking. Along with his sharing the TOP 10 of these … AND, an offer to sign up for free plans for building a 12″ x 8″ shed … all this for $37 US funds (I paid $51.34 CAD). NOTE: There are upsells to this product … so … I have a SECRET to share with you … DO NOT accept the FIRST upsell … nor the SECOND upsell for the 6 books for $39 US funds, BECAUSE, after you click on “No thanks. I don’t want to upgrade” your browser will be whisked away to yet ANOTHER upsell. This offer will be for ALL 3 upgrades … for only $29 US funds! There was no way of contacting them so, I went back to Clickbank and asked for an immediate refund AND cancellation to the monthly charges.